"The scenic town of Bellingham, about 90 miles north of Seattle, is home to Western Washington University. Begun as a teacher's college, the university has added a variety of programs, while instituting a thorough liberal arts core and diversifying its student body. The school is home to "Viking 25," an award-winning solar car built by WWU's Vehicle Research Institute." Describe the type of student who should not attend Western Washington University and explain why. I totally agree with you guys, college is a beautiful experience. Describe the type of student who should attend Western Washington University. Why? Adventurous and easy-going are the characteristics of your typical Western student. We're always looking to explore outdoors, and if things don't turn out exactly as planned, "It's all good man!" What is a typical Western Washington University student like? Describe the type of person that should attend Western Washington University. What are the top 3 reasons someone should attend Western Washington University? Hey that's really the great post. I have a question in my mind that how to clear bing search history to speed up my browser speed in easiest process. What was a typical Western Washington University student like in high school? Describe the type of person that should attend Western Washington University. Many students at Western were studious in high school and value education. Students that have an interest in the outdoors, a liberal arts education, social justice, and learning would fit in well at Western. With 15,000 students, 160 academic programs, and an energized campus community, Western offers the focus on students and the faculty access of a smaller college and the academic choice, resources, multicultural diversity, and room to grow of a large university. Not so big that you feel like a number; not so small that you have to conform to a mold. Large enough for you to define yourself and small enough that you make a difference. What are the top 3 things that students do for fun at Western Washington University? Campus housing is available for undergraduates. Housing deposit : $200.00. Housing deposit due : Jun 15. Housing deposit is partially refunded if student does not enroll.. Freshman allowed to have car. No pets. A program that prepares individuals creatively and technically to express emotions, ideas, or inner visions by constructing art works from woven or non-woven fabrics and fibrous materials. Includes instruction in weaving techniques and loom operation; non-woven techniques such as knitting, coiling, netting, and crocheting; quilting; dyeing and pigmentation; printing and other finishing techniques; pattern design; tapestry; and personal style development. A program that prepares individuals to serve as facilitators, advocates, and referral professionals linking health care and related social services with affected recipient communities. Includes instruction in public and community health, human and social services, health services administration, group counseling, health education, group advocacy, cross-cultural and multilingual communication, and applicable laws and policies. A program that combines accounting with computer science and/or computer studies. A program that prepares individuals to apply basic engineering principles and technical skills in support of engineers and other professionals engaged in developing and using industrial polymers. Includes instruction in the principles of macromolecular chemistry, polymerization and plastic manufacturing processes and equipment, design and operational testing procedures, equipment maintenance and repair procedures, safety procedures, applications to specific products, and report preparation. A program that focuses on the scientific study of the psychological growth and development of individuals from infancy through adulthood. Includes instruction in cognitive and perceptual development, emotional development, personality development, the effects of biological maturation on behavior, theories of cognitive growth and related research methods, testing and assessment methods for different age levels, research on child and adolescent behavior therapy, and the psychology of aging. Any instructional program in economics not listed above. Any instructional program in journalism not listed above. 89% of students graduated in the top half of their class. The average student pays $14,253 for tuition, fees, and other expenses, after grants and scholarships. Total stated tuition is $8,040, in-state and on-campus, before financial aid. 49% of students receive some form of financial aid. Learn more about financial aid at http://www.finaid.wwu.edu. Estimate the net price for you at http://www.finaid.wwu.edu/finaid/npc/npcalc.htm. 37% of students graduated on time. The typical (median) early career salary of Western Washington University graduates is $42,700, according to Payscale. Western Washington University participates in the NCAA Division II for college athletics. 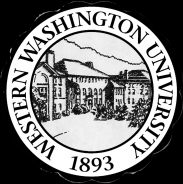 Want more info about Western Washington University? Get free advice from education experts and Noodle community members.